This is my first recording & new songs since 1990 (yep last century). 26 years ago I locked my gear in the shed with no plans to ever involve myself in music again. My family had decided I was going beyond crazy and bought me a new guitar... so you can blame them or thank them for this EP. 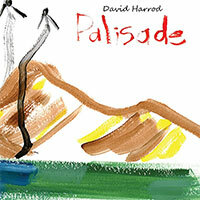 All songs written by David Harrod. Recorded at Love HZ Studios Sydney & Produced by Michael Carpenter with David Harrod between May 4th & May 13th 2016.